Other | Do-It-Yourself Advice Blog. Meet Jody and Peter, the sailing couple behind the blog “Where the Coconuts Grow.” This determined couple set their sights on the live aboard sailing life and didn’t look back. They’ve been cruising in the Caribbean for the past two years on board S/V Mary Christine. To continue their sailing lifestyle, they’ve embraced a “work hard, play hard” mentality, which includes long hours at their island job and DIY projects to affordably maintain their own boat with the freedom of the sailing life as the ultimate payoff. Sailrite is a sponsor of their DIY projects and I recently had the opportunity to ask Jody a few questions about the cruising lifestyle and DIY aboard. Q: Tell us a little bit about you! How did you start sailing? How did you decide to cruise in the Caribbean? A: I’m originally from the Seattle area (Jody), and Peter is from San Diego. We both had boating experience since we were little but neither of us knew how to sail before we bought our boat! Peter knew one day he would buy a sailboat to economically get to all the epic surf spots and fishing grounds. We originally looked for a boat on the West Coast but found better options on the East Coast. The boat we purchased was in Florida so the Caribbean was the natural route to begin our cruising. We are SO glad it ended up that way instead of the Pacific side as our training grounds. Q: Tell us about your sailboat, S/V Mary Christine. A: Our boat is a Whitby 42 – A 42′ bluewater ketch. She was built in 1980 and is very solid. The previous owners took impeccable care of her and we are lucky to have such a perfect tiny floating home. With the age comes character. There is a lot of interior teak but that also darkens the space very quickly. My settee cushion project and throw pillow project both immediately lightened up the space and made it feel even more cozy inside. I love that our boat feels like home and not just a boat. Q: What is your favorite part of your cruising lifestyle? A: I love the freedom the most. We have the freedom to pick up and move anytime we want, bringing our tiny floating home and all of our belongings with us. We can travel, see the world and never get homesick all at the same time. Q: Why do you think DIY skills are important for cruisers? A: When you travel to remote places, boat parts and repair facilities are few and far between. Even if you don’t know how to fix something, you figure it out. A little common sense and motivation go a long way on the water. DIY skills are also very rewarding. Before we became cruisers, our DIY skills were nowhere near what they are today simply because they didn’t need to be. Now, we look at all the things we have done by ourselves and they are all huge accomplishments. That makes you feel pretty proud. Q: How did you first hear about Sailrite? A: A few of my cruising friends have used Sailrite machines and they were always highly recommended. I did my research and decided to not waste my time with a cheaper machine that would inevitably break down or not hold up to the marine environment. My primary motive was to be able to do sail repairs if necessary with the versatility to sew other projects and the general consensus was that Sailrite is the best. I can proudly agree now! Q: I know you have an Ultrafeed LSZ-1 Sewing Machine, what do you think of it so far? How many projects have you sewn with it? Q: Your settee cushions turned out great! What did you learn in the process of making those? A: Wow, the cushion project was incredibly intimidating before I started. I had wanted to redo them since the day we bought our boat and I avoided the project for two whole years. By jumping into that project, I learned that it’s really not as scary as it looks, with the help of my LSZ-1 and all the wonderful Sailrite videos. I was very patient and watched the videos over and over again until I felt like I understood what to do at each stage of the project. 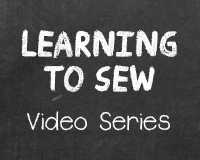 Q: What advice do you have for other sailors thinking about sewing for their boats? A: Don’t be intimidated!! The Sailrite videos make anything possible. If you have a question about any part of the process, the Sailrite customer service is beyond exceptional and they will help you figure anything out. Take on any projects you are considering and you’ll wonder why you didn’t do them sooner. Q: Do you have any DIY projects on the horizon? A: My list of projects I’d like to start is ever-growing. As soon as I have a few more days off, I’m going to finally tackle repairing the aft isinglass panel of my cockpit. The zipper has been disintegrated by UV exposure and we can’t keep the rain out. I’ve got the supplies, now I just need to plan my first steps. I’m so happy I don’t have to pay hundreds of dollars for someone else to do it! Q: Where are you sailing now? You can follow Jody and Peter’s sailing adventures on their blog, Where the Coconuts Grow as well as on Facebook and Instagram! As the year comes to a close, we’d like to take a moment to thank all our loyal customers. We’ve loved hearing from you and seeing the projects you’ve created—you all never cease to inspire us! Thank you for letting us be a part of your creative process. We can’t wait to share more DIY projects and tips with you in the coming year.